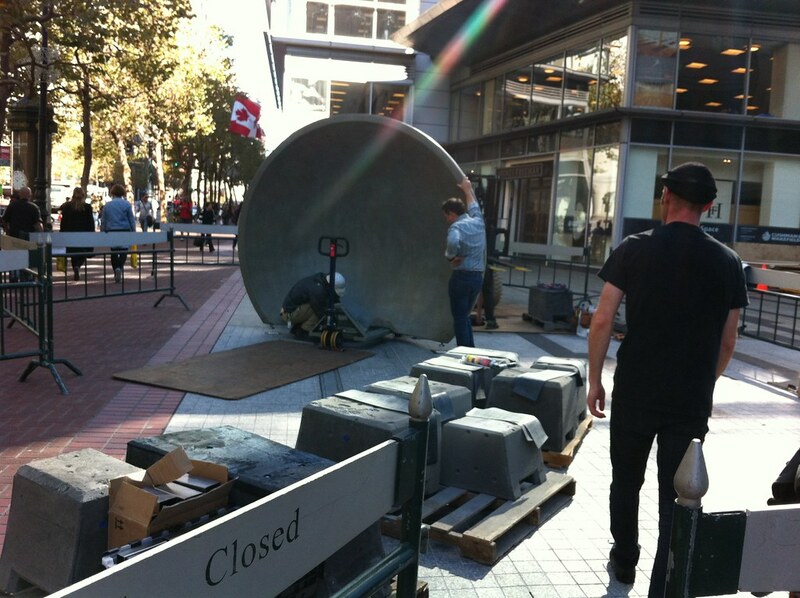 Talk to strangers that are 60 feet away with these “Whispering Dishes”. 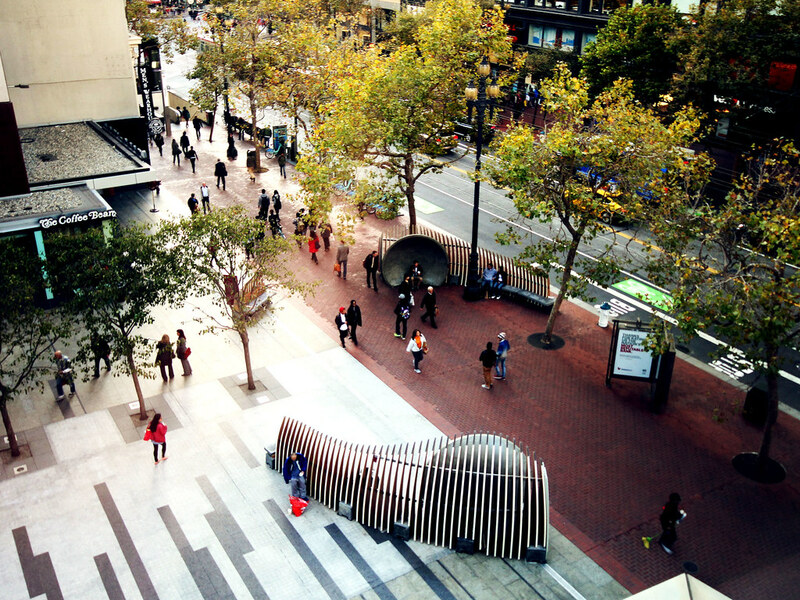 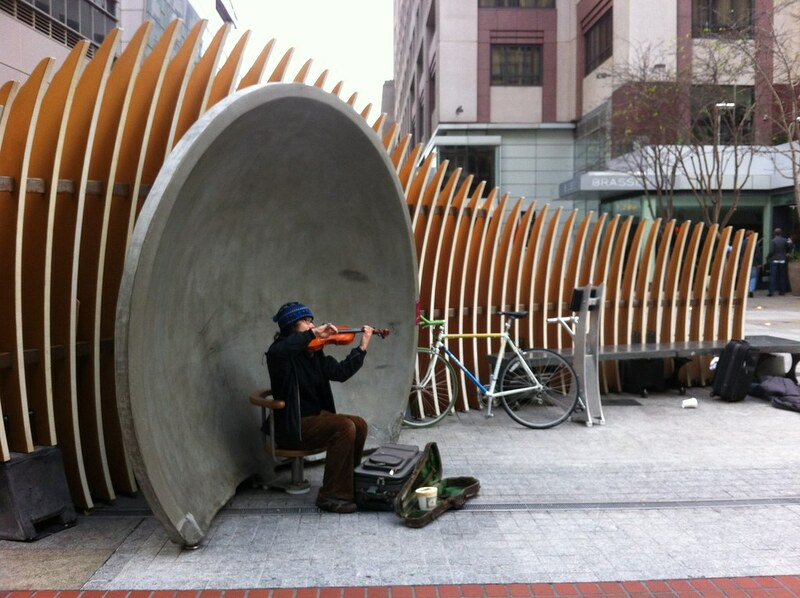 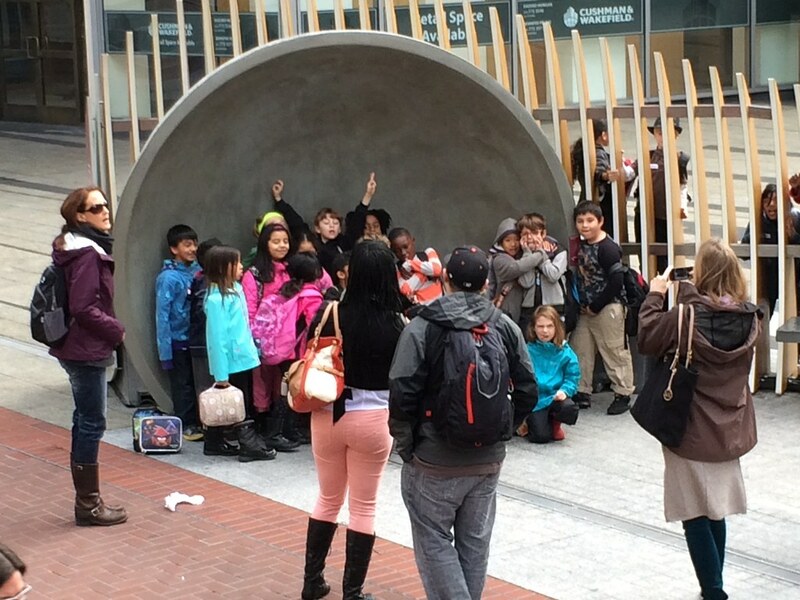 Pause on Market Street is composed of two exhibits designed and fabricated by the Exploratorium that encourage social interaction and play. 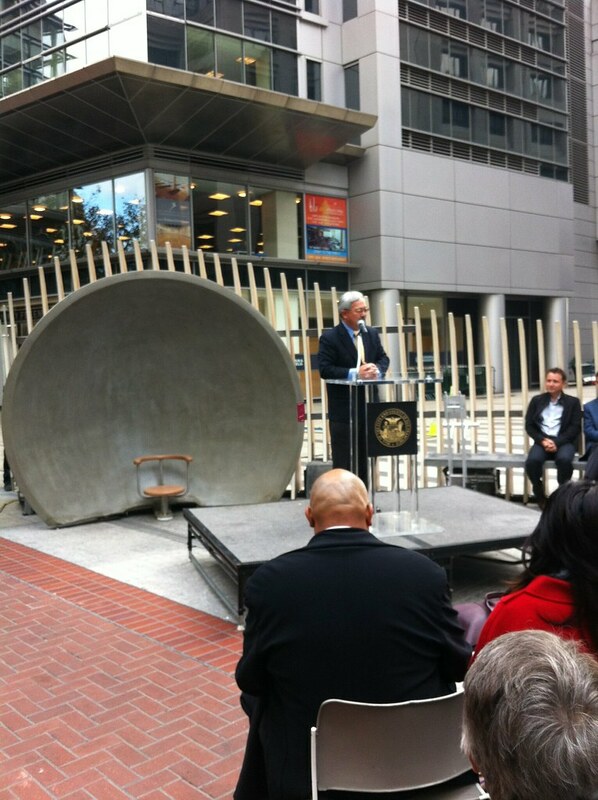 The first exhibit is a pair of giant parabolic “whispering dishes” that amplify a user’s conversation, and make it audible to a person sitting in an opposite dish placed roughly 60 feet away. 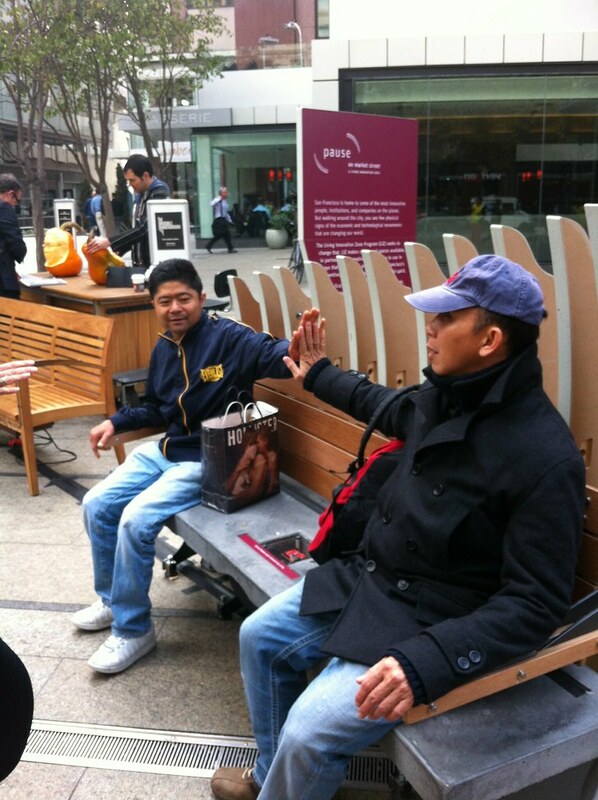 The second is a “singing bench” that plays music when users complete a circuit by touching its armrests. 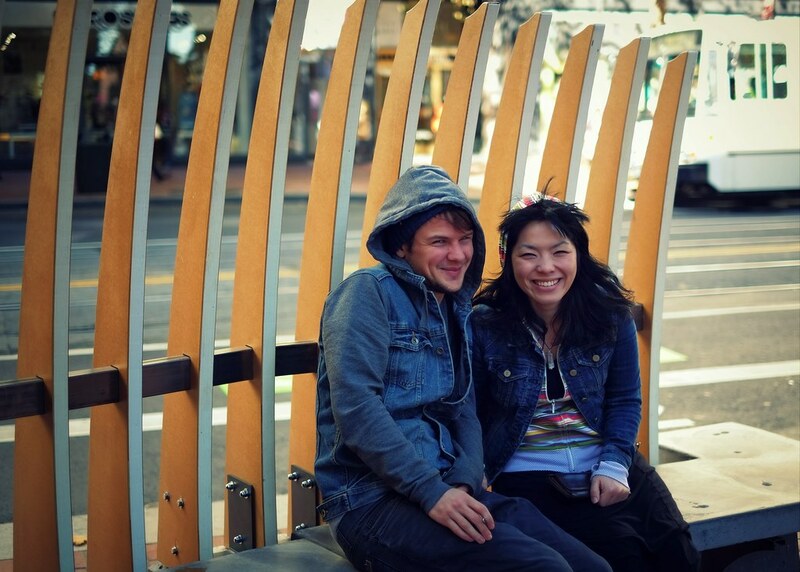 Over 20,000 pedestrians passed by the installation every day, and more than 7 million per year. 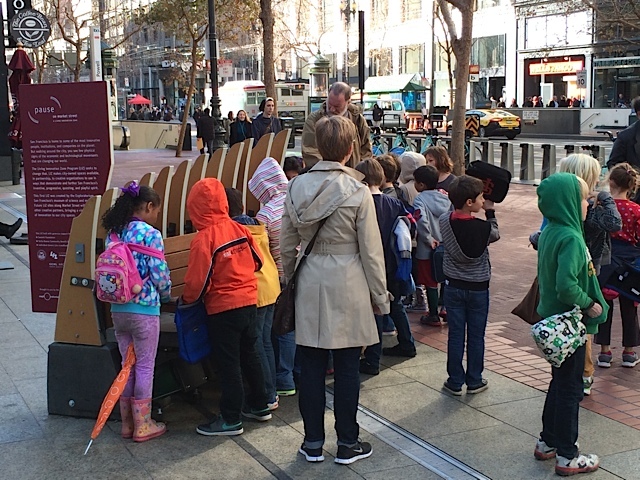 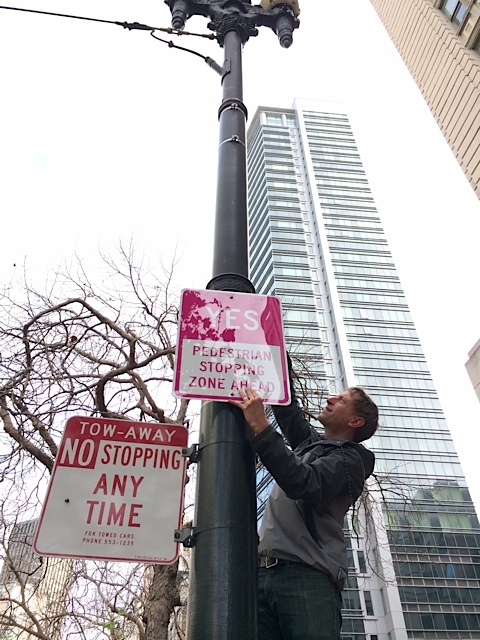 The project was funded by a Summit Foundation grant, contributions from the Yerba Buena Community Benefits District and the Exploratorium, including a crowdfunding campaign. 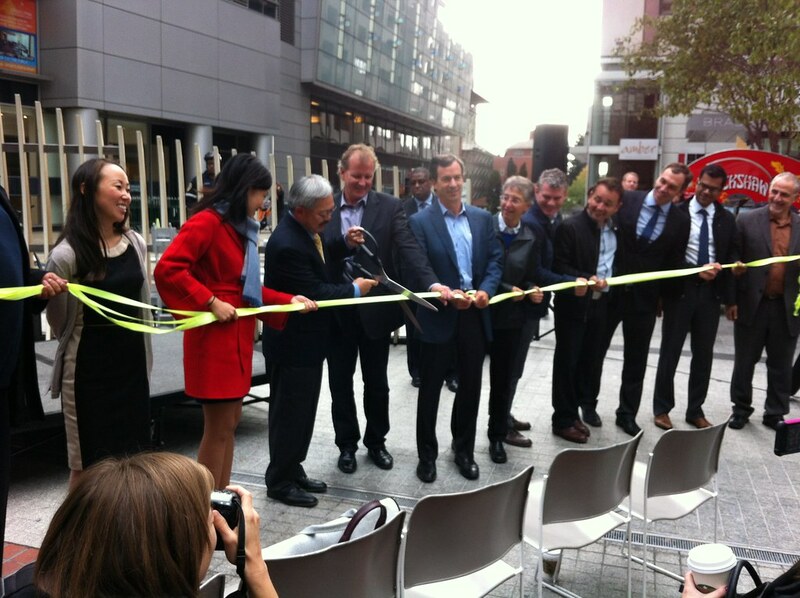 Gehl Architects played an advisory role in the project.